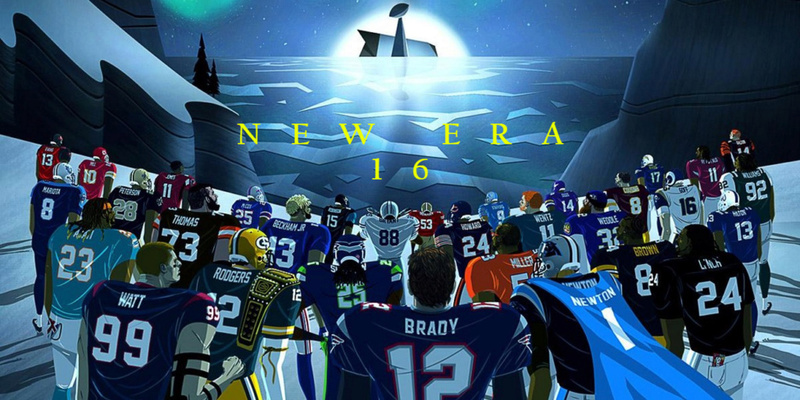 New Era 16 is a league of madden elite players who have come together to create a great league. ALL GAMES SHOULD BE RECORDED. NO PAUSES UNLESS IT'S AN EMERGENCY. 1. NO GLITCHING OR EXPLOITING THE A.I.... THERE'S TONS SO I WILL NOT LIST THEM ALL. All plays on offense and defense are up to be reviewed. 1.CALL A VARIETY OF PLAYS. DON'T CALL THE SAME 3 - 5 PLAYS OR FORMATIONS OVER AND OVER. We all have our favorite/ go to plays but mix it up. 2. HB should only be lined up at WR in empty backfield sets or plays with auto motion. 3. Do not audible from a 3, 4 or 5 WR set in to a 1 or 2 WR set where WRs end up in TE positions or HB positions. 4. You can motion a player for extra blocking to one side BUT that player must be outside the tackle at the snap. 1. Can be used once per possession any time during the game. 2. Can be used at any point in the last 2 minutes of the half or game. 3. Can be used anytime during the 4th quarter if down by more than 3. 1. Down 21 or more points in the 3rd quarter you can go for it anywhere on the field. 2. Down in the 4th quarter you can go for it anywhere on the field. 3. You can go for it 4th and inches on the goaline at any point in the game. 4. Can NOT be used to take the lead at any point. 1. Fake Field Goals and Fake Punts are not allowed. 2. Onside kicks are allowed in the 4th quarter down 14 or more points. 3. Onside kicks are allowed if you are down with less than 2 mins left in the game and you have less than 3 timeouts. 4. Squib kicks are only allowed to end the half or game. 1. Do Not call one play all game. 2. NO Pressing the WR all game. 3. NO shaking the LBs or using constant audibles to exploit the oline. 4. You Must rush at least 3 on every play. 5. You can only manually move one player. Line and formation shifts are ok.
Failure to abide by the rules will be reviewed by the league and can eventually lead to dismissal from the league. *More Rules can be added as we learn more about the game and its potential exploits.